This morning, the web exploded with rumors that the next Resident Evil game will charge you to continue the game after death, thanks to reports from media outlets at a press event in Spain today. "Capcom to charge money for continues in Resident Evil Revelations 2?" asked a NeoGAF thread. "They were just revealed at the Spanish presentation event. You have to pay to continue if they kill you mid-chapter, if not you have to start that chapter again from the start." Reddit echoed the same question, wondering if the overseas reports were true. Given Capcom's history of customer-unfriendly decisions regarding DLC and payment schemes, everyone assumed the worst of the upcoming Revelations 2, an episodic game that will begin launching for multiple platforms this February. 1) These microtransactions are only part of the optional Raid Mode—not the main story. "There are no micro-transactions within the main campaign," a Capcom PR representative tells Kotaku. Regarding your question, players can use "life crystals" when playing through Raid mode in Revelations 2. The crystals essentially act as continues (re spawns) in Raid mode when players die. Blue life crystals can be earned through playing daily missions and red life crystals can be bought. The two crystals act the same, but there's an option to buy if players run out of blue (earned) crystals or don't want to spend the time earning them. If players have both blue and red crystals, the game will prioritize the blue crystals over the red ones. Again, these are only used in Raid mode and not in the main campaign. 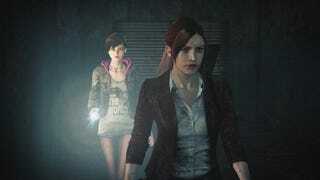 In short: yes, Resident Evil Revelations 2 will have microtransactions; no, they probably won't ruin the main game. Of course, it's worth noting that the whole game will be sold piecemeal, with the whole thing running $25 digitally and $40 for a disc. You can read the full breakdown over on Capcom's blog.